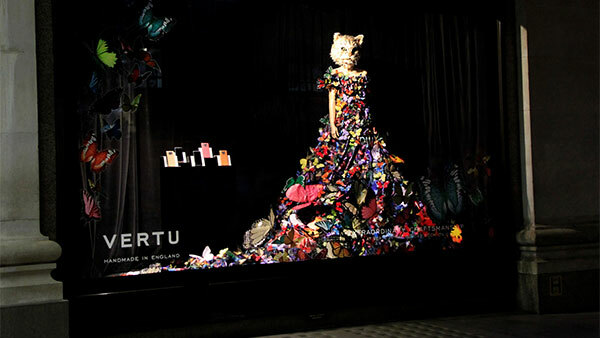 Luxury mobile telephone company Vertu approached us to deliver a window display promoting the Vertu Constellation Collection for Selfridges London. 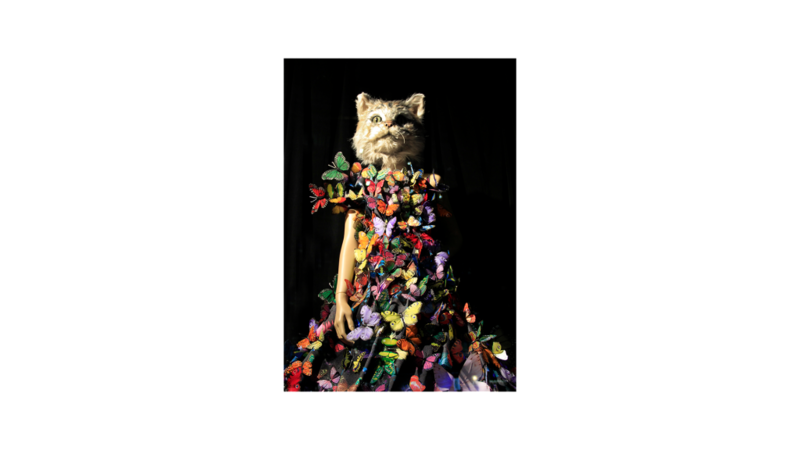 We replicated the current Vertu advertising campaign using a mannequin wearing a cat head, dressed in a flowing gown encrusted in butterflies. The range of phones sat on a bespoke plinth and the window was enhanced with dramatic lighting and printed butterflies and text applied to the glass.